FOLLOWING the success of DC and Warner Bros. hit Wonder Woman, the sequel is well underway and may have already found its villain. According to The Hollywood Reporter, Bridesmaids star Kristen Wiig is in early talks to play the antagonist to Gal Gadot's Diana Prince character. The star will return as the title superhero and Wiig is believed to be gearing up to take on the DC Comics villain Cheetah. In the comics, Cheetah (A.K.A. Dr. Barbara Minerva) is a British archaeologist who is given the powers of an ancient cheetah god when things go awry on an expedition in the African jungle. She crosses paths with Wonder Woman after becoming obsessed with the lasso of truth. However, it's unclear if the film's adaptation of the character will follow this character arc in any way. So far, precious little is known about Wonder Woman 2. As previously reported, Patty Jenkins will return to the director's chair to helm the follow up, set in the 1980s against the backdrop of the Cold War. Variety confirmed the news in an interview with Jon Berg and Geoff Johns, who oversee the DC film universe for Warner Bros.
"Patty and I are writing the treatment right now," Johns said. "The goal is to make another great Wonder Woman film." Johns said that he "had a blast" working with Jenkins on the first Wonder Woman and that the pair have a "cool idea" for the follow-up. Wonder Woman 2 is currently scheduled to hit theatres on November 1st, 2019. The first superhero epic made $135.4 million ($US100.5m) in its opening weekend in the US. It set a record for the biggest opening weekend for a female-directed film, a record previously held by 50 Shades of Grey. 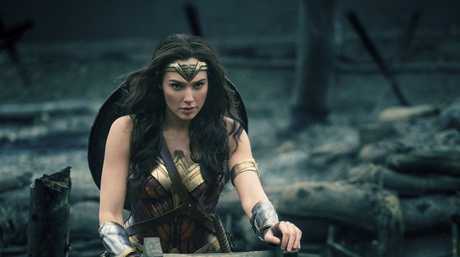 Wonder Woman has earned over $US573 million worldwide to date.